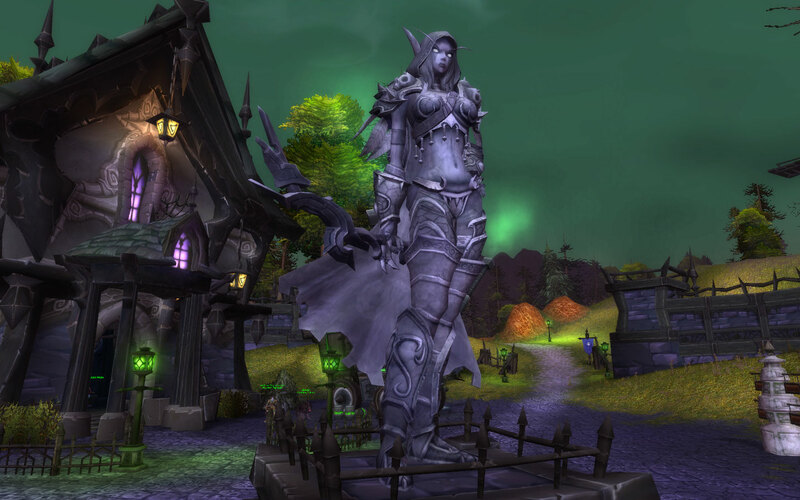 This week’s screenshot comes from Brill, with a statue of Sylvanas. Now, right away I’m sure there are Alliance people who are saying that there’s no reason to have a statue of her. Is there any reason to have a statue of Varian built at Stormwind Keep? I thought not. 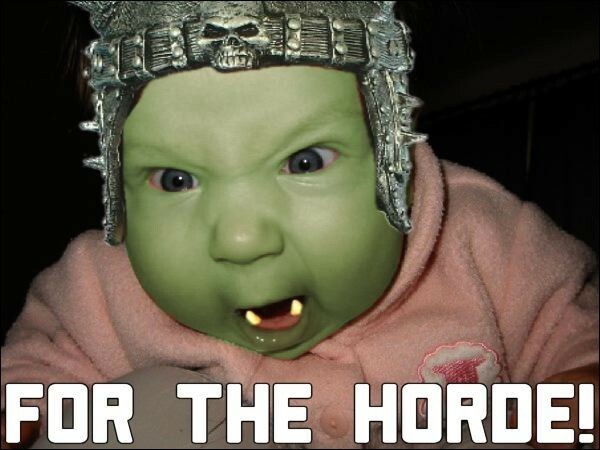 It’s all part of being a faction leader… must be rough, eh? Supposedly it’s spring, yet the weather here doesn’t seem to realize it. Today we have a view of the Undercity from above. For the longest time, we were unable to see what it looked like from a different angle, so seeing this really impressed me. 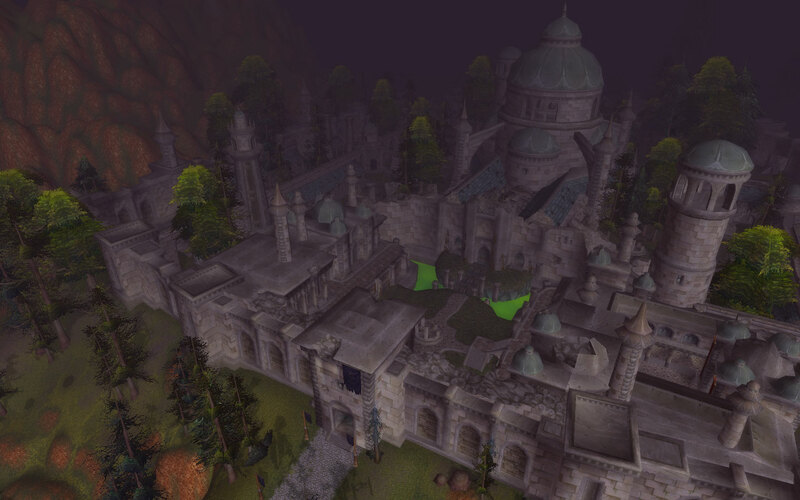 Formerly Lordaeron City, it’s now home to Sylvanas and the Forsaken. The weekend is upon us, and for once the weather here in Edmonton isn’t bad! Works for me! This week’s screenshot comes from the new Forsaken starting zone. At one point, you get a deathguard wannabe named Darnell to join you to collect corpses. I just found it entertaining seeing all the corpses piled on top of another, and feeling a little bad for poor Darnell. Having gone through both of the new races’ starting zones, I thought I’d give my opinions on how they turned out. They were both well done, but in different ways. The Goblin starting zone was very goblin-esque: it was fun, campy, had some entertaining moments. The Worgen starting zone was very sober: it was like you were in an industrial revolution time period, and you’re fighting for your survival. This is going to be part one in a series of going through the changed starting zones of all the races, finishing up their respective starting areas – Durotar, Tirisfal, and so on. My biggest disappointment was what happens to the Worgen after the starting zone is done, but we’ll get to that part later. There will be lots of spoilers forthcoming. Follow along after the break to go through my thoughts about these two great areas.